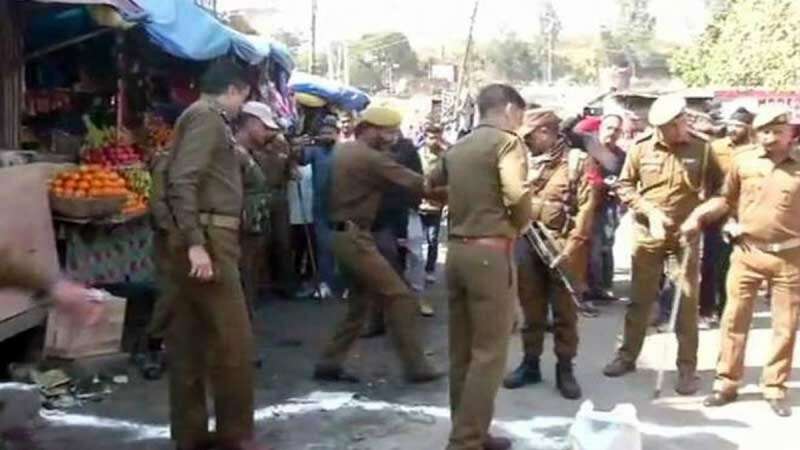 Jammu : At least 28 people have been injured in a grenade attack at a bus stand in Jammu. The terrorist attack comes exactly three weeks after the deadly Pulwama Attack on CRPF convoy. All the injured people have been shifted to a nearby hospital, five of them are in a critical state, said the doctor. According to police, the grenade was under a bus at a bus stand in the heart of the city. Among the injured people, most are bus drivers and conductors. However, it is not known if they were on board the bus or were nearby. A senior police officer, Manish Kumar Sinha, told reporters that the grenade probably rolled under a parked bus before it went off around 11.30 a.m, reported news agency IANS. As per visuals coming from the incident site, the police officials can be seen cording off the area with the help of barricades. "I thought it was a tyre burst. It was a big blast. The locals took the injured to the hospital in an ambulance," an eyewitness told news agency ANI. "The police is working on all the leads. We are collecting evidence and we will hunt them down," a police officer told reporters. No terrorist group has claimed the attack so far.